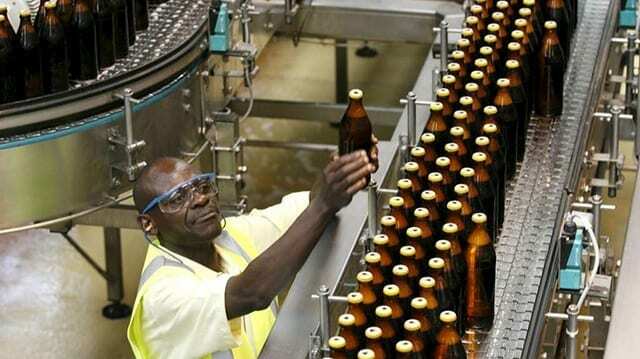 KENYA – East African Breweries Limited (EABL) has intensified its outreach to farmers ahead of a grant opening of a new brewing facility in Kisumu in a bid to achieve a steady supply of the grain. In addition, the East Africa’s largest alcohol beverage company seeks to deepen socio-economic benefits, at the same time play a vital role in improving the living standards of the local community. EABL secured US$123.5 million long-term loan for the facility, expected to complete by July 2019. The brewer, 50.02% owned by multinational brewer Diageo, is building a US$148.2 million factory projected for an annual production capacity of 100 million litres. The brewery has sourced 3,500 acres of land at Siany Okana Farm in Kisumu County where it targets harvest of over 12,000 tonnes of white sorghum by August, said Omondi Kasidhi, head of sustainable agriculture sourcing, Kenya Breweries Limited (KBL). He added that the land was leased from over 500 members of the community in an initiative that will see EABL cater for all costs of production up to harvesting as well as pay farmers US$0.32 per kg for the sorghum. “We have a five-year contract with farmers who have provided their land, part of which will be used to grow food crops such as maize, beans and green grams to promote food security,” said Mr Kasidhi. EABL will also introduce modern farming techniques to improve yields of the key ingredient for beer brand Senator Keg. Senator Keg, a drink dispensed in mugs from barrels, has emerged as beer volume driver for the regional brewer due to its low purchase price of about US$0.30 per 300ml mug. EABL’s half year sales and revenues for the six months to December remained flat at US$347.77 million especially due to a dip in sales of Senator Keg in the middle of political uncertainty, according to a Business Daily report. Despite of uncertain business environment in its home market, in addition to pressure from tax, EABL remains committed to growth and expansion. The company started the construction of a US$2.964 million spirits line in a way to meet the growing demand for the brand of beverages.